A courting couple. In the Austral spring the males go looking for mates, and the females put them through their paces to assess their suitability and tenacity. 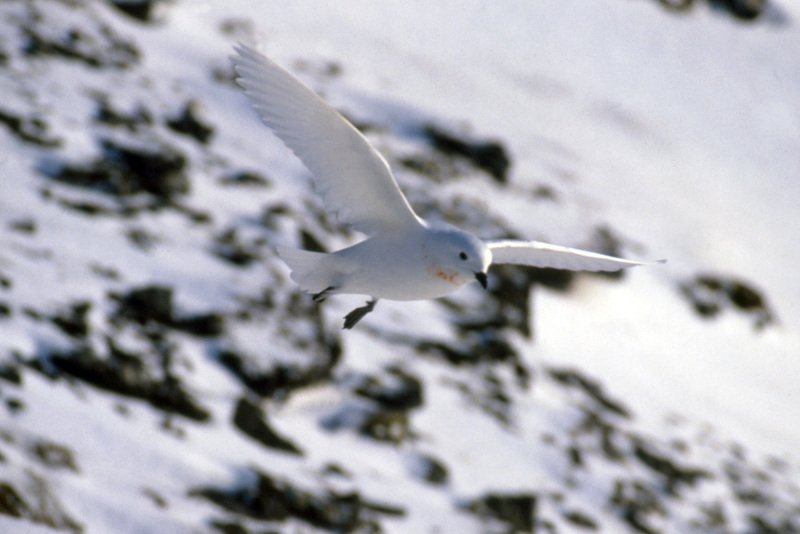 The courtship ritual consists initially of a male snow petrel following a female as she flies around the nesting area which is frequently a rocky outcrop or cliff with suitable ledges or nest holes. The female then leads him around the cliffs in a high speed aerial ballet, climbing and diving, flying almost into the cliff face at full speed before changing direction with an imperceptible twist of the wing. The poor beleaguered male not only has to match this aeronautical master class, but he has to do it as close as possible to the female and without a script. Many seem to give up and get left behind, certainly in the early days. 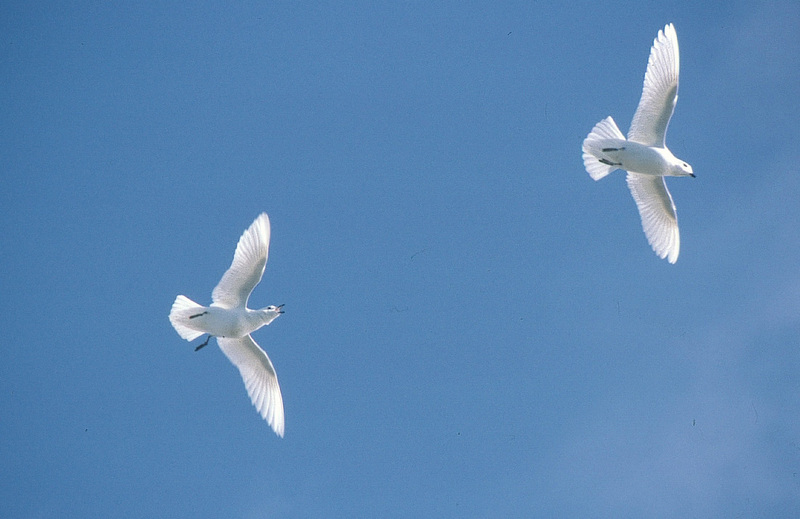 In the top picture the male is calling to the female during a relatively relaxed moment. The pink marks on the birds in the bottom two pictures are of regurgitated krill which mark these two birds out as males who tried to get a bit too close a bit too soon to a female who demonstrated her displeasure in a most unladylike manner. 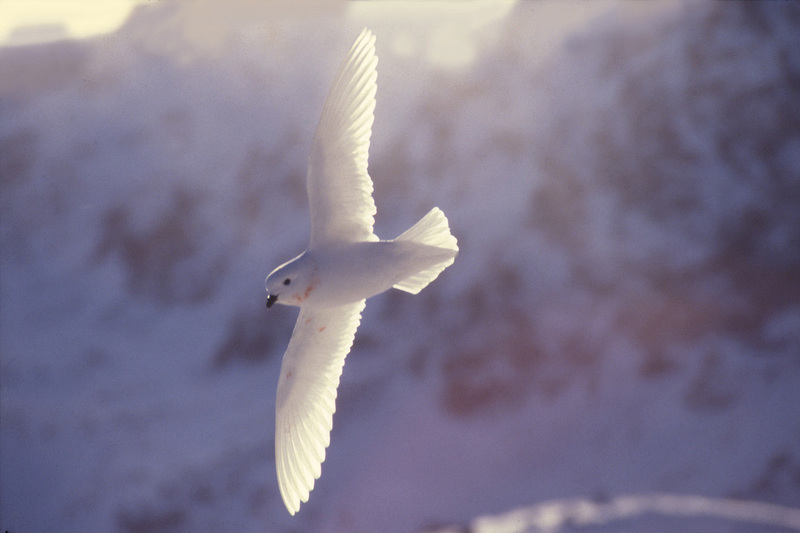 Photo; Ã‚Â© Paul Ward - Pictures taken on Signy Island, South Orkneys, Antarctica.